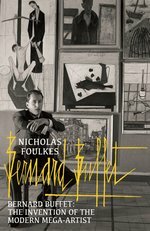 Told for the first time, the extraordinary story of Bernard Buffet the most famous artist in the world you have never heard of. It is said that asphyxiation brings on a state of hallucinatory intoxication...in which case the 71 year old artist who lay in his sprawling Provencal villa died happy. In the early afternoon of Monday 4 October 1999, wracked with Parkinson's, and unable to paint because of a fall in which he had broken his wrist, Bernard Buffet calmly placed a plastic bag over his head, taped it tight around his neck and patiently waited the few minutes it took for death to arrive. Bernard Buffet:The Invention of the Modern Mega-artist tells the remarkable story of a French figurative painter who tasted unprecedented critical and commercial success at an age when his contemporaries were still at art school. Then, with almost equal suddenness the fruits of fame turned sour and he found himself an outcast. Scarred with the contagion of immense commercial success no leper was more untouchable. He was the first artist of the television age and the jet age and his role in creating the idea of a post-war France is not to be underestimated. As the first of the so-called Fabulous Five (Francoise Sagan, Roger Vadim, Brigitte Bardot and Yves Saint Laurent) he was a leader of the cultural revolution that seemed to forge a new France from the shattered remains of a discredited and demoralized country. Rich in incident Buffet’s remarkable story of bisexual love affairs, betrayal, vendettas lasting half a century, shattered reputations, alcoholism, and drug abuse, is played out against the backdrop of the beau monde of the 1950s and 1960s in locations as diverse as St Tropez, Japan, Paris, Dallas, St Petersburg and New York, before coming to its miserable conclusion alone in his studio. Love Bernard Buffet? Subscribe to Read More to find out about similar books.